This Valentine's Day, we're proving it's worth it to be single by honoring all the solo flyers for Valentine's Day out there with Singles Awareness Day! 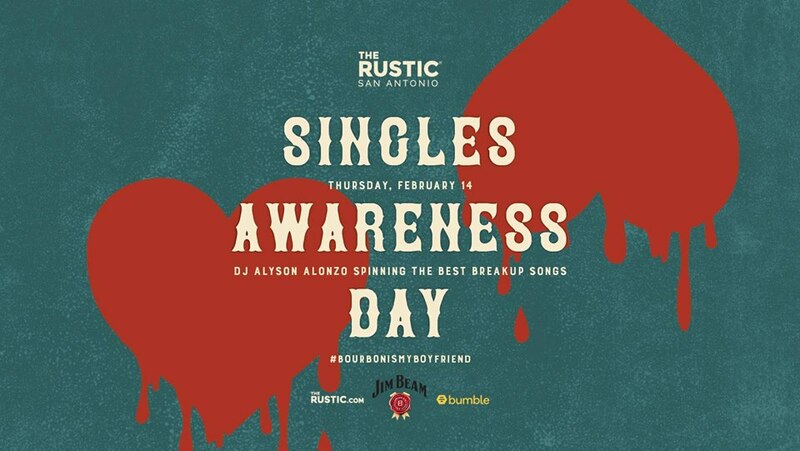 Party kicks off at 6pm and we have DJ Alyson Alonzo spinning the best breakup songs from 7 to 10pm on our stage. Get here early as the first 50 people to order Jim Beam's #BourbonismyBoyfriend cocktail get a tank top from the distillery!